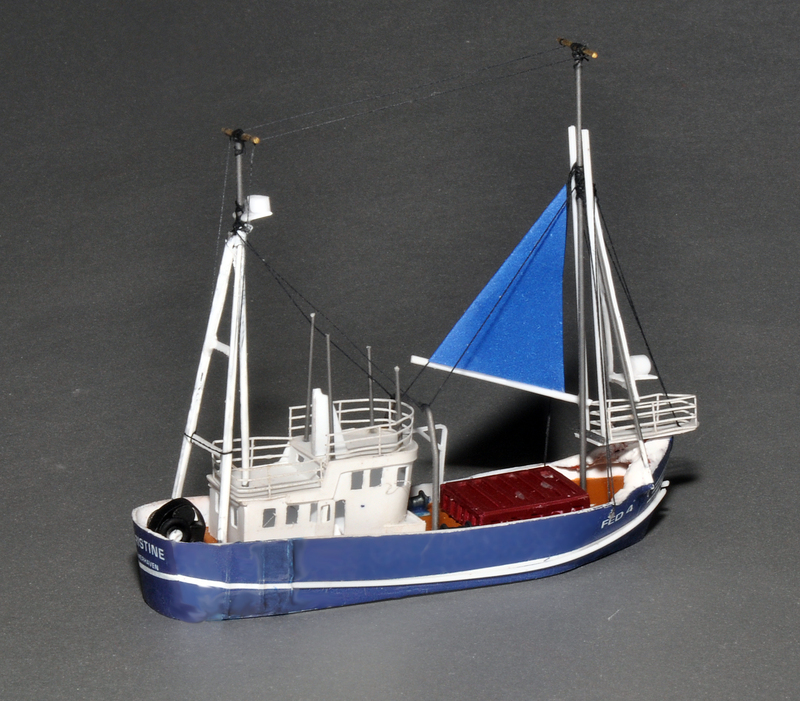 I’ve build three small fishing vessels that are from the North Sea, but are equally home around the US. 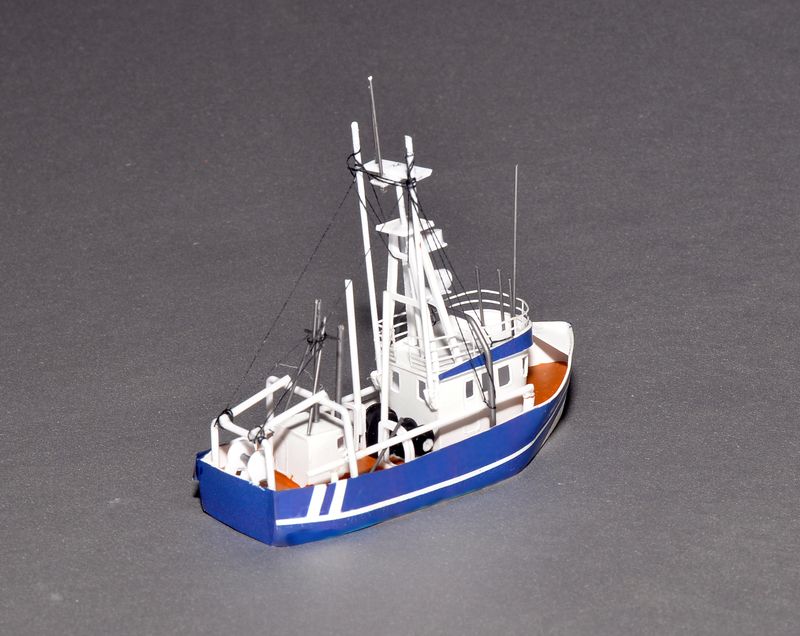 The hulls are built up styrene. 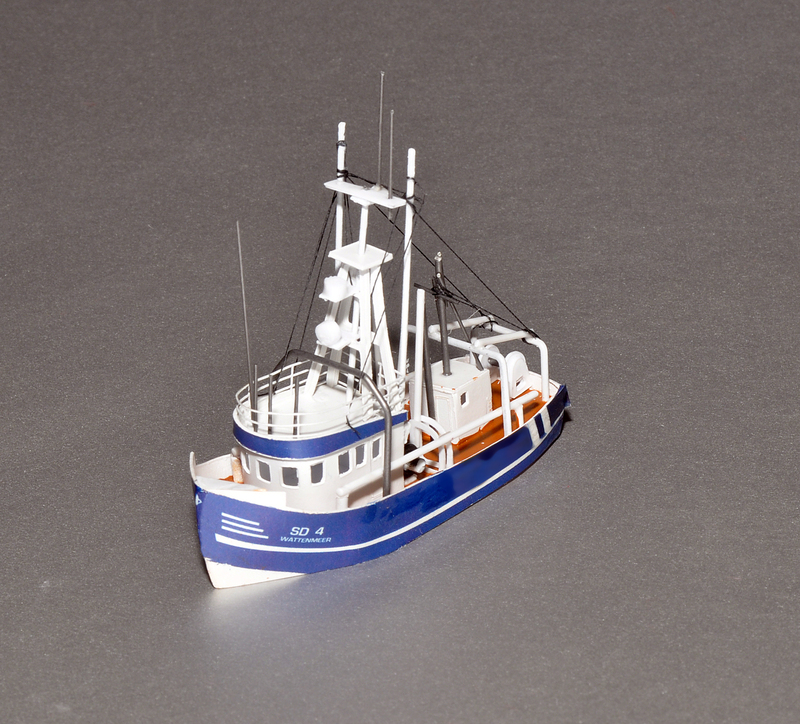 Included are full hull decals for the North Sea versions, custom made winches, and brass railings and ladders. 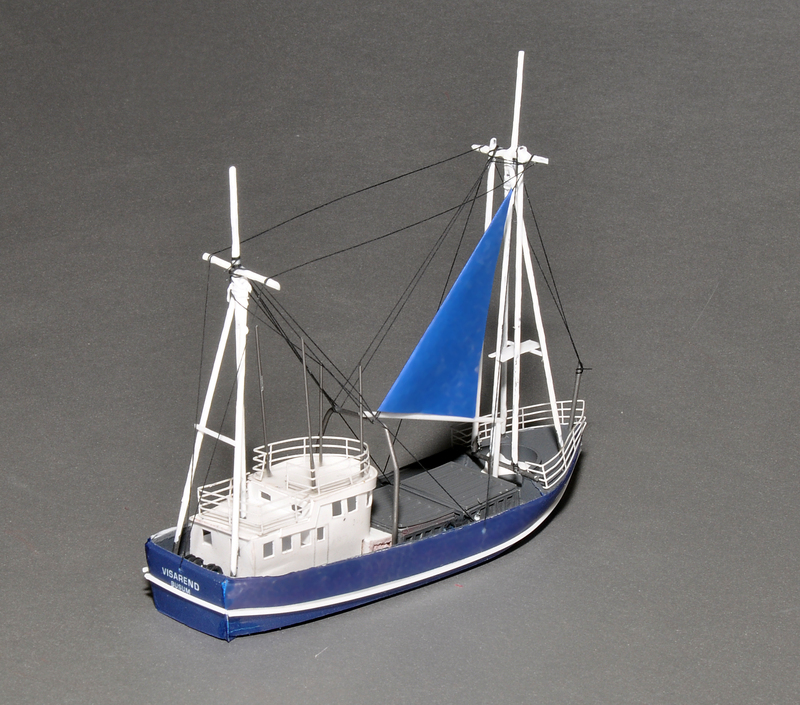 The first (SD4-WattenMeer) is a 50′ (15 m) crabber or shrimper. 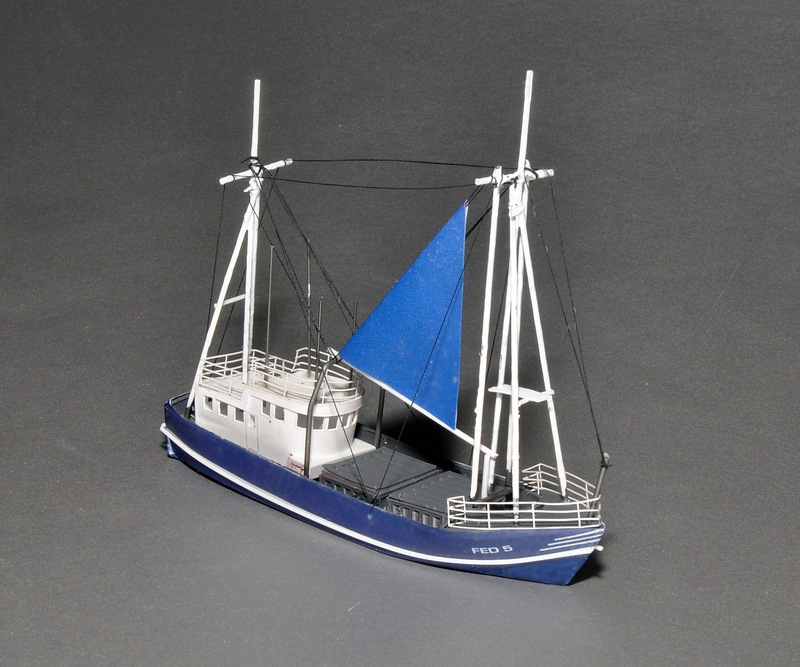 The second (FE4-Christine) is a typical 63′ (19 m) trawler rig. 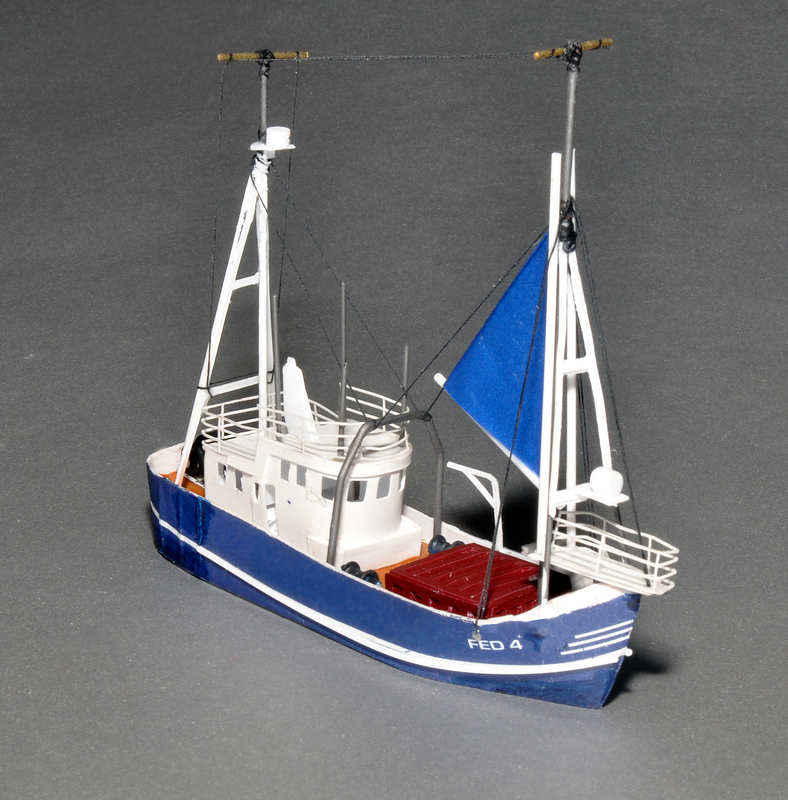 Last (FE5-Visarned) is a 75′ (23 m) trawler rig with twin holds. Kits are USD $69.00 plus $7.00 shipping. These are not usually available as built-ups, but inquire, as I will build them as my building schedule permits.